I call this Ridiculous Raspberry Lemonade because it is so amazing, that it just doesn't make sense. The recipe is very easy, and it's a great way for me to use my fresh lemons from my mother in law's tree! First, a funny story about my mother in law's lemon tree. My Chinese mother in law, saved a lemon seed. My husband's family was and is very frugal, and nothing is wasted. My mama saved this lemon seed, and told the children she was going to plant it, and grow a tree. Well, they all got a little laugh out of that, until the silly thing grew, and kept growing, and is still growing some 15 plus years later. The tree, grown out of my mother in laws blessed green thumb yields a crazy amount of lemons, which just beg to be made into lemonade each summer. So let's get to the delicious lemonade. In a large bowl, mix together the frozen lemonade and water. Pour into drink pitcher. Mix in the sprite, frozen raspberries, and lemons. Add a few cup of ice cubes and give it a good stir and Voila! 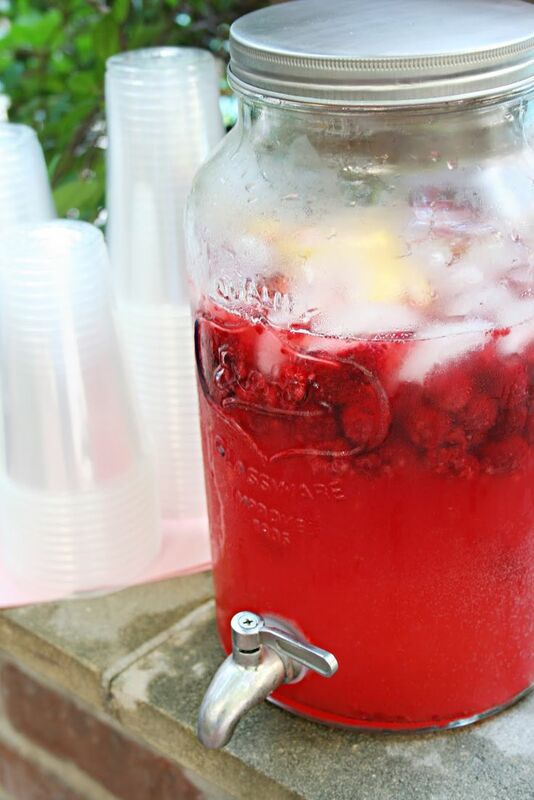 You have yourself the simplest and tastiest Raspberry Lemonade! Do exactly as directed and you can't go wrong. I am an ice snob and prefer certain ice, which I can purchase by the bag, at a drive in chain (anyone else crazy like me?). I also prefer putting some of the lemonade in ice cube trays, freezing it, and adding that to the lemonade pitcher, and using plain ice only in drinking glasses. This prevents the ice from watering down the pitcher of lemonade.